Plums are from the stone fruit family, along with apricots, peaches, cherries and nectarines; from the genus prunus. Plums that are ripe and ready to gobble up will yield to gentle pressure in your hand. Plums that are excessively hard to the touch are still immature and haven’t had time to develop taste and texture. Well-graded plums will boast a rich red, crimson or yellow colour (depending on the variety of plum you have at hand) with a slight white wax covering – this indicates fruit that has not been over-handled. Avoid plums that are squashed and bruised. If not ripe yet, leave at room temperature as they tend to mature quickly – check on them to ensure they do not become overripe. Store in the fridge or even freezer (removing the stone beforehand). For the cupcakes, preheat the oven to 180°C. Line a 12-well cupcake tin with paper cupcake holders. In the bowl of an electric mixer, beat the sugar and eggs, 1 minute. Sieve the flour, baking powder, bicarbonate of soda and salt into a medium bowl. Mix in the coconut, add the wet ingredients and beat until incorporated. 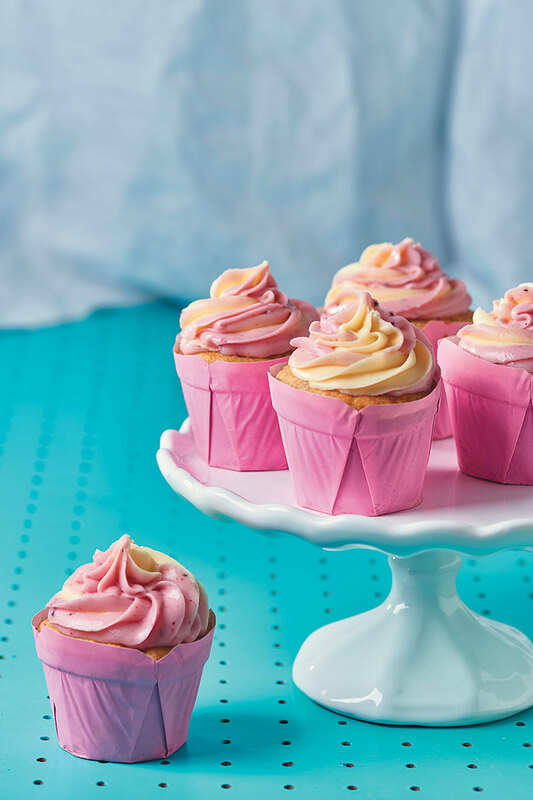 Fold in the 4 chopped plums, pour into the cupcake holder-lined wells and bake, 20 minutes. For the cream cheese and plum icing, beat the butter, cream cheese and icing sugar with an electric mixer until pale and creamy, about 2 minutes. Using a stick blender, blitz the plum to a smooth purée and pour the plum purée into a medium bowl. Mix through half of the cream cheese icing, reserving the rest. To ice the cupcakes, allow to cool completely and remove the cupcakes from the tin. Fit a star nozzle into a divided piping bag. Scoop the two toned icing into its respective divisions. Pipe the icing on the cupcakes in a swirl formation.